Kea, the nearest island of Cyclades to Athens, is the ideal and the most easily accessible destination even for a last-minute escape. Only a few, however, have discovered its real identity and its rare treasures. Easter finds every year Kea blooming and green. With spring scents, fragrant homemade recipes that you stimulate your nose as you wander around the whitewashed alleys, but also with its traditions as a small place, this season the island is at its best. The Holy Week, but especially on Holy Thursday, enjoy the local customs, taste the traditional recipes, drink local wine and walk in the countryside and the ancient paths. On Holy Thursday, in Ioulida, Korissia and Vourkari, decorate with us the Epitaph with fragrant flowers from the gardens of the island. 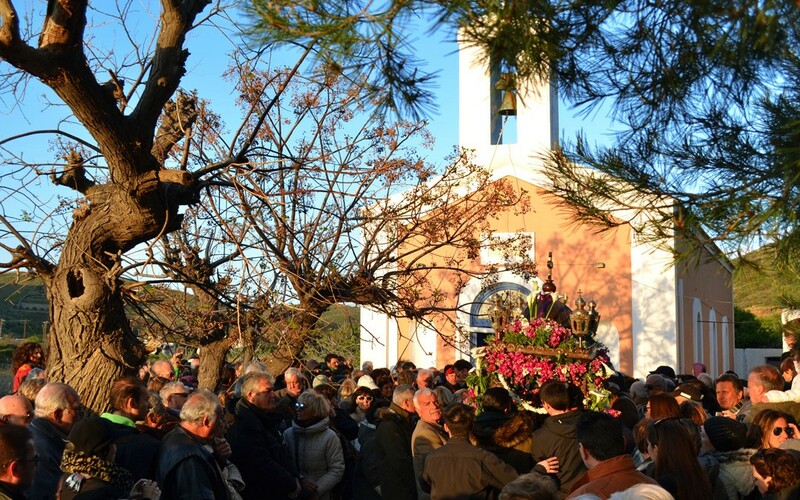 On Good Friday, there will be a procession of the Epitaph early in the afternoon in Vourkari and in the evening in Ioulida and Korissia with special customs in every location. On Saturday, we welcome the Holy Light that comes to the island by helicopter and say “Christos Anesti” tapping red eggs and watching the fireworks. On Easter Sunday, except for the Agapi liturgy that is performed in the morning, we burn Judas in Ioulida, Vourkari and Otzias, either on the slopes of the hills or in the boats. And of course we enjoy the Easter table with all the delicacies offered by Kean land. Meat, cheese, spices and herbs, sweets and so much more that you can get with you leaving the beautiful island. Easter here is always special, with Greek aromas and Cycladic colors. This year we will combine it with the celebration of May 1st and will enjoy the Kean countryside and the walks in the ffotpaths of the island. The authentic flavors and traditions of this small place will offer you insuperable memories.